We are serious about protecting your information. 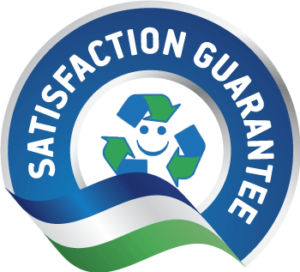 When using our confidential destruction service for files, media, or hard drives, we ensure that every last scrap gets shredded and that a certificate of destruction is issued for our customers records. HSR Services can take care of hard drive shredding to ensure complete and total destruction of your hard drives. Using our shredder, you can rest assured that the security of your data is our primary concern and regardless of whether it is a hard drive, cell phone, blackberry or CD, every single piece of electronic media that is dropped off for shredding is completely destroyed beyond recovery! For any of your information destruction needs, please contact our office for a quote on year-end purges or regular servicing. Every business produces confidential data. Customers lists, price lists, sales statistics, drafts of bids and correspondence, and memos are all examples of confidential data. All businesses also possess other people’s confidential data which is their legal responsibility to protect. These documents include employee records and personal information. Unless proper precautions are taken, important information could end up in the dumpster where it is readily, and legally, available to anybody. It is said that your garbage is the single most available source of competitive and private information. By not destroying private and proprietary data, a company may be subjecting itself to not only the risk of loss of business, but it may also be exposing itself to criminal and civil prosecution. If not controlled; everyday trash of every business will contain information that could be harmful to their operation and beneficial to their competitor. Discarded daily records such as: phone messages, memos, misprinted forms, drafts of bids and drafts of correspondence are especially dangerous because they contain current information that could be useful to a competitor today. Every business is vulnerable because of their need to discard these types of documents. The only way to minimizing this type of risk is to make sure such information is securely collected and destroyed. If we are transporting pallet loads of confidential documentation, a lock will be placed on the door of our truck and the documents will be shredded upon arrival at our warehouse in Port Coquitlam. Let us know how we can make your media shredding easier.